LinesearchbeforeUdig (LSBUD) is a free to use online search service that any individual (“User”) can use to check their works against over 50 asset owners’ (“Members”) utility assets. 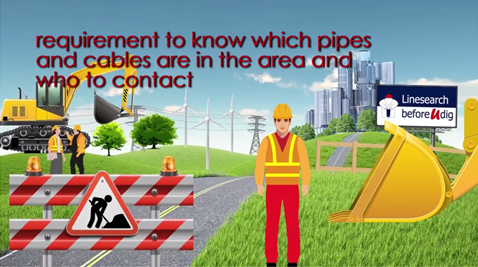 These assets include hundreds of thousands of kilometres of underground and overhead pipes and cables in the electricity, gas, high pressure fuel, water and fibre optic networks. The service processes over 1.6 million enquiries per annum- that’s more than one every 20 seconds. Our registered asset owners send you the plans of their assets relevant for your area, in accordance with their processes. LSBUD Members respond in a variety of different ways; some will respond automatically while others may request further information. Please note that not all asset owners are LSBUD Members and whilst the LSBUD service will help you identify them by supplying contact details etc it is your responsibility to identify and contact all asset owners within your search area. Enquiries can be for simply checking what is there for future requirements or for immediate use, i.e. for an urgent excavation. Works can be of any scale from a highway scheme to simply replacing a garden fence.